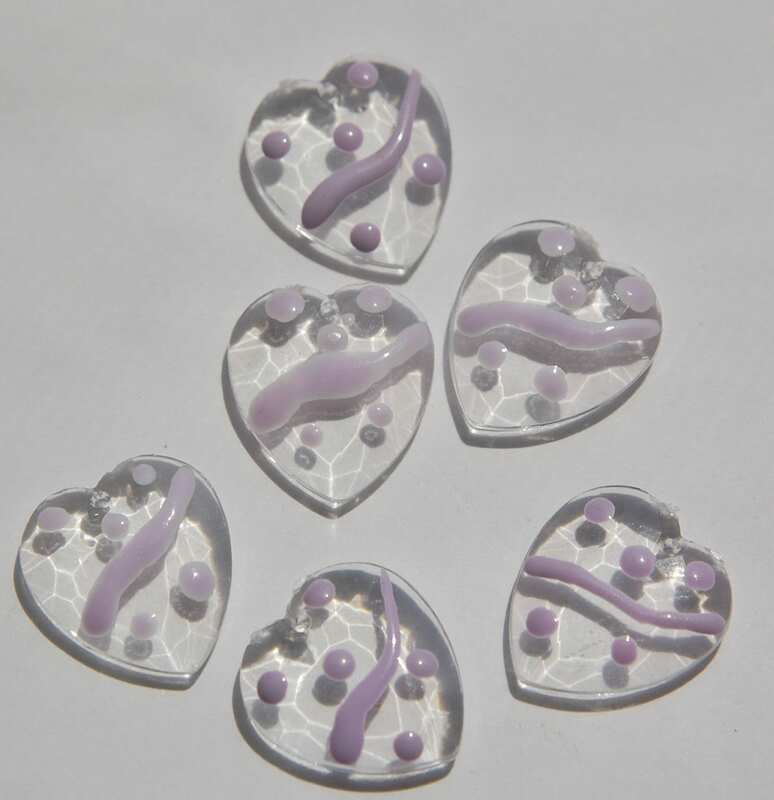 These are vintage plastic hearts from the 1980's. 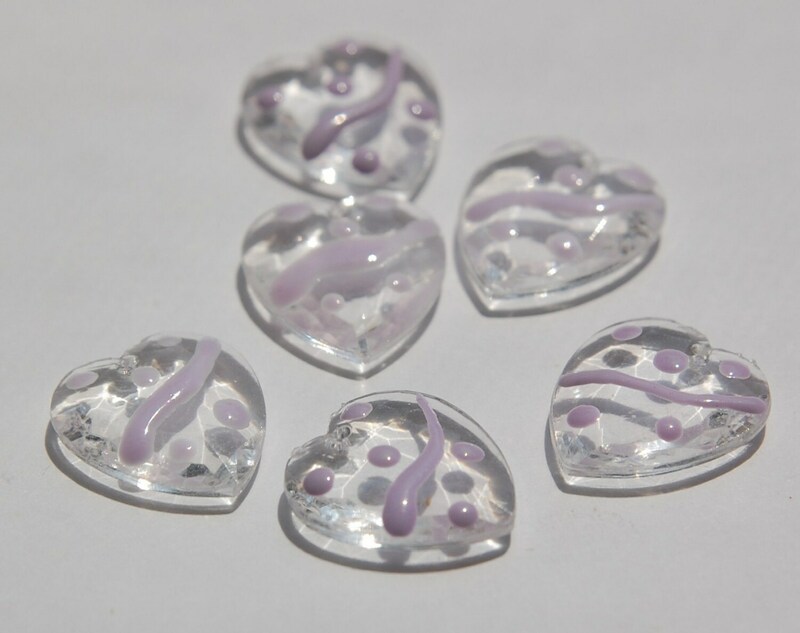 They are faceted plastic with light purple dots and lines applied to the top. These measure 18mm wide x 20mm high. You will receive 6 of these.